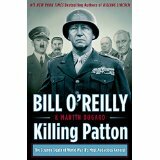 I have purposed to read all of the O’Reilly “Killing” books. I have enjoyed all of them except Killing Jesus. Having taught Life of Christ for years I simply couldn’t look at a human-only Jesus with any satisfaction. But besides that one, I have enjoyed the books. This was my favorite because I’ve always had an interest in WWII, my father’s war, and the greatest conflict between good and evil in the twentieth century. General George Patton was killed in an automobile “accident” while still commanding the allied troops in Europe after the war. The General is being driven in a 1938 Cadillac Model 75 on his way to a hunting trip. No one really notices when a U.S. Army “deuce and a half” (2.5 ton) truck pulls from the side of the road directly into the side of the car where Patton is sitting. Patton is paralyzed and dies a few days later, December 21, 1945. The driver of the truck was never apprehended or charged. George Patton is buried in the American Military Cemetery in Hamm, Luxembourg rather than in the U.S. because all American soldiers who died on foreign soil were buried on foreign soil. General George S. Patton Jr. was a gruff, foul-mouthed, veteran who loved war and America. He wasn’t the kind of man you would take a liking to unless you owed him your life, which thousands of soldiers did, and probably millions of Americans who never knew it. I surely wouldn’t want a George Patton in my social circle, but when Hitler’s Germany is threatening to control the world and kill you and your social circles, you want a man like George Patton on your side. He defeated Rommel in North Africa, rescued the American and British forces from sure defeat at the Battle of the Bulge, and would have easily been the first Allied soldier in Berlin if Eisenhower hadn’t ordered him to stand down. David had his Joab, Lincoln had his Grant, and Ike had his Patton. Without them wars and nations would have been lost. Daniel said God removes kings and He sets up kings, and He uses these men to do it. We owe our freedom, as Oliver North says, to “rough men with rifles” and, in this case, tanks.